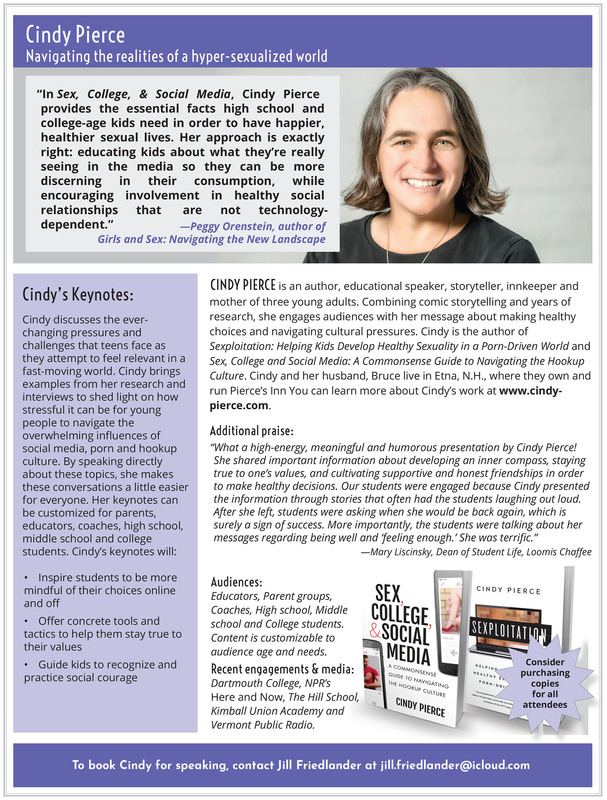 If you are interested in bringing Cindy to speak to groups of high school or middle school students, educators or parents, contact Jill Friedlander at jill.friedlander@icloud.com or 617-584-7966. If you are interested in bringing Cindy to speak to groups of college students or college organizations, contact Jill Friedlander at jill.friedlander@icloud.com or 617-584-7966. If you are interested in Pierce’s Inn, find more information at piercesinn.com. You can reach Bruce Lingelbach at piercesinn@valley.net or 603-643-2997. Web site design, maintenance and photography by Geoff Hansen.